Scott Francis Construction, Inc., is a full-service, licensed residential and commercial contractor that provides custom homebuilding, remodeling, and renovation services. More than 25 years of building experience, Scott Francis and our team communicate closely with our clients from conception to completion of every project. Realizing changes happen throughout the course of any project, our construction team remains flexible, working with homeowners at every stage to ensure satisfaction for years to come. Timely and efficient, Scott Francis takes pride in building quality home construction, while still keeping within our clients’ budgets and timeframes. Scott Francis has earned his reputation as a quality builder from his hands-on work with a variety of projects through the decades including the Getty Museum in Los Angeles, luxury estate homes in Scottsdale and Carefree, and commercial and industrial projects in Metro Phoenix. For your home improvement and home construction projects, Scott Francis Construction is your number one choice for an Arizona general contractor you can trust. You will enjoy working with Scott Francis Construction and our team of experienced, skillful, professional, and creative craftsmen. It’s easy to see why we are one of the most respected and trusted Phoenix remodeling teams in the area. 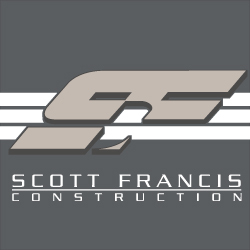 Scott Francis Construction will deliver your bathroom remodel, kitchen remodel, or other home improvements on time and on budget. Contact us to discuss your Phoenix remodeling, home improvement, or custom homebuilding needs.